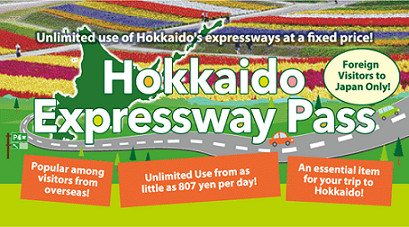 If you use Hokkaido Expressway Pass, the highway in Hokkaido will be unlimited at a fixed price. Please rent a special ETC card with your rental car. Hokkaido Expressway Pass is a product only for foreigners visiting Japan. Presentation of passport etc. other than Japan is required.